While the weather outside remains capricious, I am able to enjoy my indoor garden of Spring flowers in old pots upon the dresser every day. Now that Spring bulbs are coming into flower in the garden, the end of the season for potted bulbs at Columbia Rd means a large variety are available for as little as one pound a pot. Consequently, each week, I have been carrying trays of these back to Spitalfields and replanting them into my collection of old bowls, that I have amassed over the years from the market, to create an abundant display in my living room. I cannot plant bulbs in my garden without squirrels simply eating them all, but I have found that if I plant out these Columbia Rd bulbs once they have flowered, they come up again next year and the squirrels do not touch them. 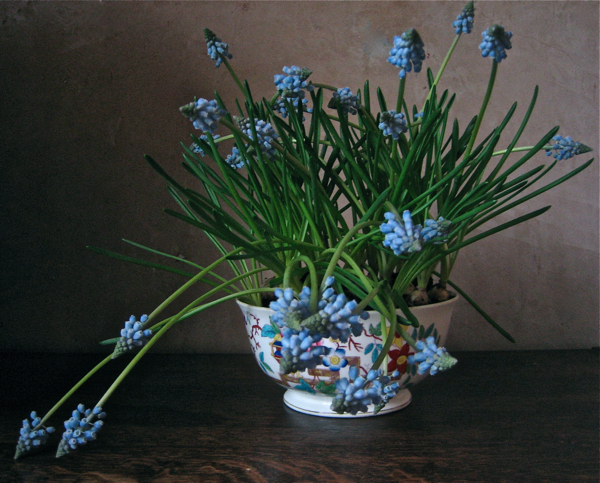 Last week, I came back with a tray of late-flowering Pheasant’s Eye Narcissus, to replace the first wave of miniature Daffodils which have already flowered upon my window sill, and also five pots of Grape Hyacinths that I potted up indoors – all these were a mere one pound a pot. 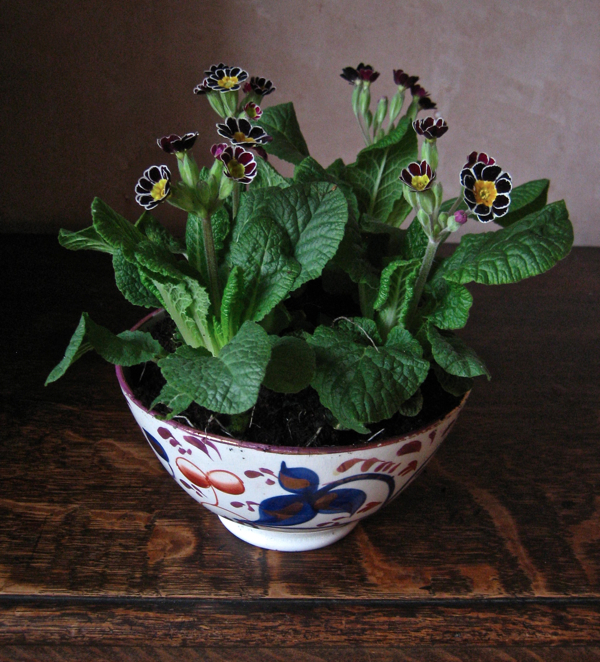 The first Auriculas are in the market now, also at just a pound a pot and, each year, I can never resist these plants – with their exotically artificial-looking flowers – which are said to have been introduced to Britain by the Huguenots. 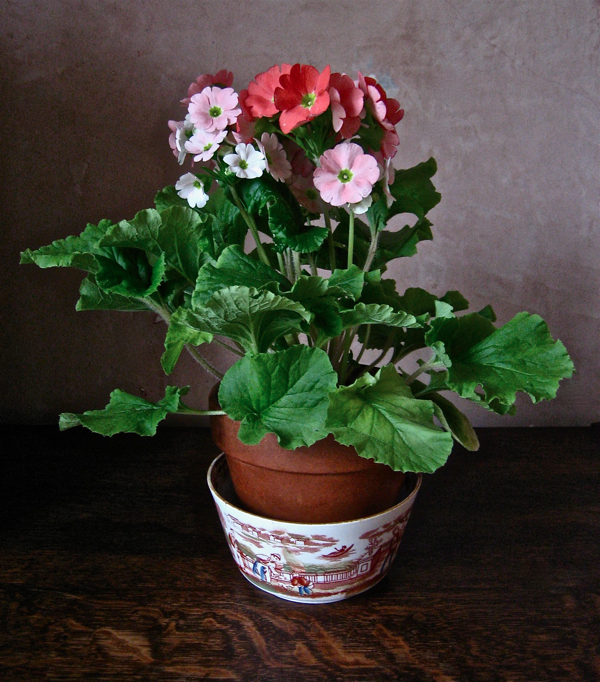 Finally, I bought a coral-coloured Primula, which evokes a specimen my grandmother had of this exact shade when I was a child, and which I recall her showing me with great pride. Even though she died in 1991, when I see these plants each year, it always gives me a shock of recognition and I feel they belong to her. It is a tender reminiscence for the expenditure of just four pounds. Each one a still life beautifully seen. I live with squirrels in my garden. the answer is to put a square of chicken wire over the bulbs, the shoots come through the mesh but the squirrels can’t get to the bulbs. veritable portraits of love and hope ,…..each flower more than a sum of its parts, elevated to a place which is sweet. Your photos are lovely – I am thinking any of them would make a fabulous watercolor. I do love your blog and check in almost daily. It is very inspiring to read about real people and history of another place. Thank you! I live in Bethnal Green and routinely visit the flower market every Sunday. I adore trawling through your market life category, reading the tales of the traders (and spotting my favourites!) and cooing over the beautiful images of your treasures. You make the East End an even more interesting and beautiful part of the city than I already find it. Thank you;i love your blog so much. Your photograph labelled as “Auricula” is incorrect. 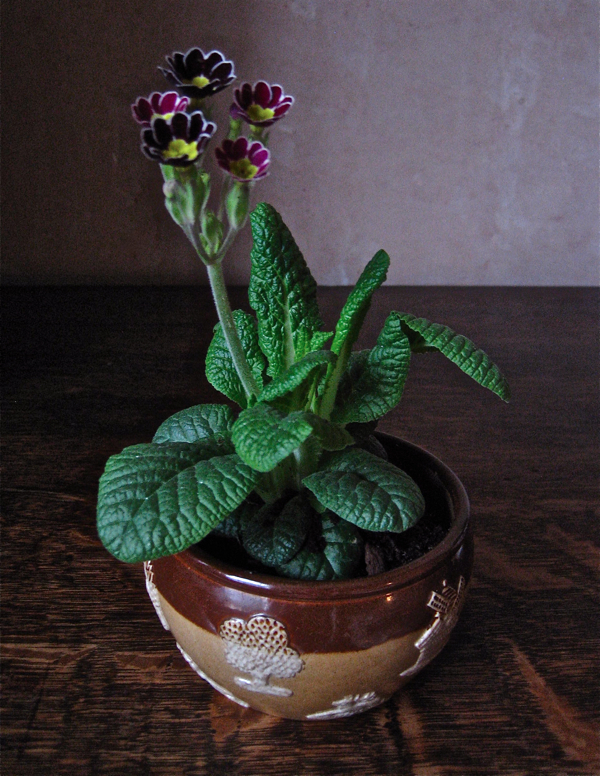 It is of a Silver Lace Polyanthus.